ArticSoft recognizes the rights of the individual to privacy and their right to be aware of the control(s) we apply where we collect information necessary for identifying customers and that we may use for marketing and market analysis purposes. 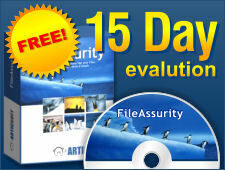 ArticSoft collect personal information that is necessary for billing, accounting and support purposes. All information is not disclosed to organizations that are not controlled by ArticSoft, unless law or regulation compel our disclosure or unless we have specifically been asked to do so in order to carry out a service that has been requested by the person concerned. In this case we will only provide such information as is necessary to achieve the service that has been requested. ArticSoft make use of customer information for the purpose of verifying customers identities before providing support services, for determining if customers are aware of available updates to products that they have already purchased and for other similar marketing purposes. ArticSoft may collect and make use of non-customer information where they have been specifically asked to provide a service. This may include providing marketing and product information on the basis of the information provided to ArticSoft. Information provided by site visitors (whether customers or non-customers) is protected from loss, misuse and alteration by the commercial web site provider. Information transferred to ArticSoft's internal network is protected following the recommendations of ISO 17799 Code of practice for the Management of Information Security. When information or services are requested from ArticSoft they are processed through an Opt-in scheme where the requestor confirms that they give consent to the use of their information. At any time an Opt-out request may be sent to ArticSoft and services will be ceased as soon as it is operationally practicable. Opt-out requests cannot be processed to cease the use of information collected for finance, administration and marketing analysis purposes. Consistent with the provisions of the European Data Protection Directive (95/46/EC) anyone who detects any errors in the information used in connection with them may have the information corrected, either by confirming the original data and the correction to be made by e-mail to admin@articsoft.com or by letter to the companies registered address. ArticSoft does not solicit e-mail or written communications except as listed above. If anyone sends information by e-mail or by post to ArticSoft they agree that there are no patent or any other IPR or similar or associated rights in that information and that they waive any claim over the use of that information by ArticSoft. ArticSoft will request the permission of the sender before they release any personal information to any other parties (unless disclosure is required under applicable law or regulation where those terms will apply). ArticSoft may notify senders if they intend to make use of any information received.